Patient care is one of the three core tasks of Medical University of Innsbruck. Putting the sick person at the centre of their concerns, the staff at the University Medical Center are responsible for high-quality regional and transregional patient care. Medical University of Innsbruck works closely with the provincial government of the Tyrol and their institutional units. A.ö. 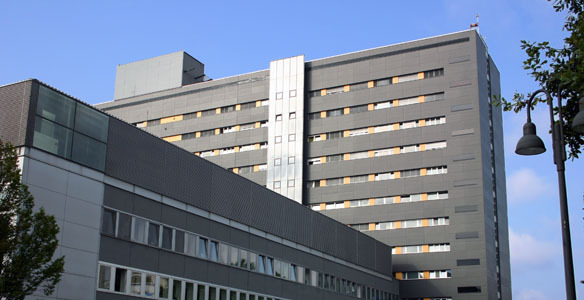 Landeskrankenhaus Innsbruck/Universitätskliniken provides vital support for patient care in terms of logistics and through their district hospitals. Individual departments of the University Medical Center offer a Mini Med studies programme, where an interested public can learn more about health, couched in easily understandable language. Apart from essential contact details, the departments of the University Medical Center inform their patients about the most important contact persons and outpatient times and about how to get there.